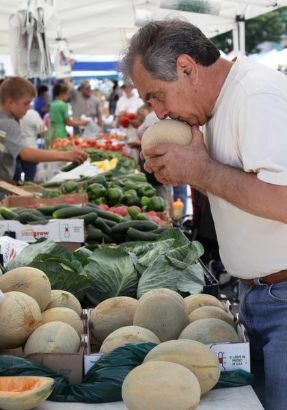 The arrival of the season’s farmers markets comes with a gentle reminder to slow down. Embrace the spontaneity of open-market shopping and cook what is fragrant and fresh, not what’s on your list. And there is plenty that is ripe for the picking: vibrant baskets of strawberries, crisp green beans, radishes and zucchini. There are handmade natural soaps, local honey, just-baked baguettes, creamy sheep’s milk cheese, fresh seafood from the Hampton Bays and New York grass-fed beef. 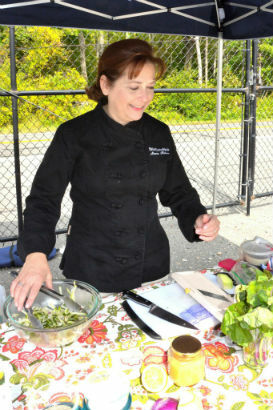 Two markets are new this year: New Rochelle Grand Market, which is held Saturdays on the Library Green at Lawton Street; and Ridge Hill, which is held Fridays in the Whole Foods parking lot and will have cooking demonstrations from Ridge Hill chefs, children’s programs and recipes for an ingredient of the week. There’s a new day for Croton’s market, which is now on Sundays, and for the Stone Barns Center farm market, a change in schedule: it is open only on Sundays. Here’s a map of our local markets, and below that, a list of markets by day. Cortlandt Manor at Hudson Valley Hospital Center: Noon-6 p.m. every second and fourth Tuesday: June 25, July 9 and 23, Aug. 13, 27, Sept. 10, 24, Oct. 8, 22 and Nov. 12 and 26. Parking lot fronting on Crompond Road/Route 202. 914-734-3794. www.hvhc.org. Vendors: Bracco Farms, W. Rogowski Farm, Continental Organics, Glynwood Farm, Hemlock Hill Farm, Perry Hill Farm, Holy Oats Granola, G&K Sweet Foods (sweet potato pies, cookies), Pika’s Farm Table (quiche, soups, prepared foods), Leland Farms (varieties of brined pickles), Acorn Hill Farm (cheese and goat milk fudge), and farm-raised meats from Hilltop Hanover Farm and Environmental Center. Brewster: 9-2 p.m. Wednesdays and Saturdays June 12 through Nov. 23. Brewster Village Hall parking lot at the intersection of Route 22 and Route 6, 914-671-6262, www.brewsterfarmersmarket.com. Vendors: R&G produce, Ryder Farm Cottage produce, Tello’s farm eggs, Brewster Pastry. Look for more chickens, eggs and soaps as the season moves along. 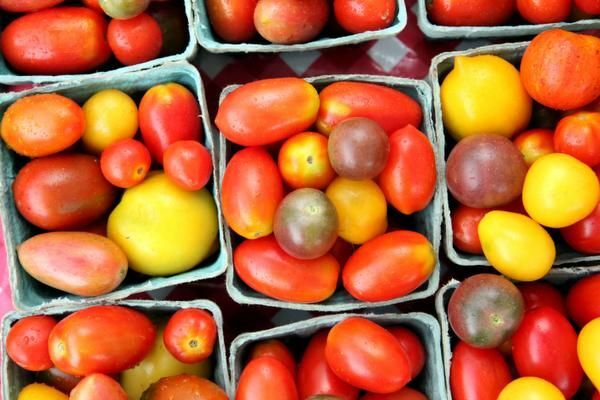 Cortlandt Farm Market: 9-6 p.m. Wednesday through Saturday, Sundays 9 to 2 p.m. Outdoor garden center and farm stand is open through December. 2267 Crompond Road, Cortlandt Manor, 914-739-0686, www.cortlandtfarmmarket.com. Irvington: 3:30-7:30 through Oct. 23. Main Street School parking lot (110 Main St). 914-478-8068, irvingtonfarmersmarket.net. Vendors: Big Girl Baking Co., Chutney Masala Bistro, DoughNation, Dutch Desserts, Flourish Baking Company, Fork and Glass Catering, Gaia’s Breath Farm, Honey Locust Farm House, Mr. G’s rotisserie chicken, Lasagna Preziosa, JD Gourmet, Little Croc Bakehouse, Madura Farms, Mountain Smokehouse Products, Orchards of Concklin, Panzarella Foods, PickleLicious, Pura Vida, Red Barn Bakery, Ronnybrook Dairy, Rich Brownies, Stone Barns Center for Food and Agriculture, Taiim Falafel Shack, Tierra Farm, Tiny Hearts Farm, True Food of Nyack. Plus, kids yoga by Yoga Works, live music, story time and a lot of prepared food. Spring Valley: 8:30-3 p.m., June 12 to Nov. 20. Memorial Park Drive, www.downtoearthmarkets.com, 914-923-4837. Featuring Alex’s Tomato Farm. Accepts SNAP benefits. White Plains: 8-4 p.m. to Nov. 20. Court Street between Martine Avenue and Main Street, 914-422-1336, Facebook: Friends of White Plains Farmers’ Market. New vendors: North Winds Lavender Farm, Chatham Brewing, Robibero Winery and Conte’s Quality Seafood. 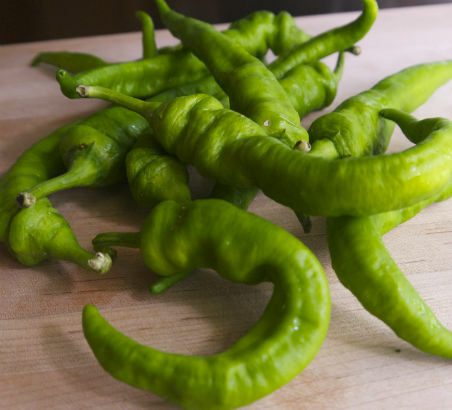 Cortlandt Farm Market: (see Wednesdays). Nyack: 8-2 p.m., through Nov. 21. Main Street parking lot, downtown Nyack. 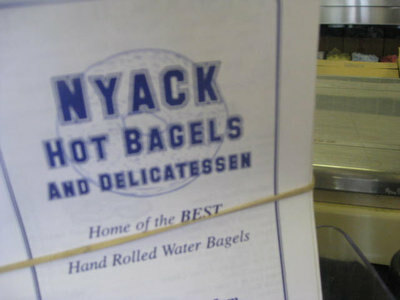 845-353-2221, info@nyackchamber.org, www.nyackchamber.org. Live music. Meat, dairy, produce, flowers. Vendors include Cactus Pete’s Homemade Jerky, DOC Pickles, Northern Farmhouse Pasta, Mikey’s Marshmallows, Jordan Brenner’s Hot-Cha Waa-Cha Sauce + Spice Co., Valley Shepherd Creamery (handmade cheese made from sheep’s milk), Warwick Valley Winery (local wines and cider) and X-Calibur Knife & Scissors Sharpening (expert knife and scissors sharpening). Yonkers, St. John’s: 8:30 a.m.-4 p.m., July 11 to Nov. 21; 1 Hudson St., 914-963-3033, email: parish@stjohnsgs.org, www.stjohnsfarmersmarket.blogspot.com. Accepts SNAP benefits. Dobbs Ferry: 10 a.m.-4 p.m. through Nov. 22 at the corner of Cedar Street and Main, 914-231-8502, www.dobbsferryfarmersmarket.com. Vendors: Westchester Greenhouses & Farm, Big Girl Baking Co., M&M Italian Provisions, The Cookery’s DoughNation, Olive Oils of the World. New this year: Mike the Cheese Guy, bringing a variety of fine Italian products including meats, cheeses, pastas, breads and marinades. New Rochelle: 8:30-2:30 p.m. through Nov. 22. In a new location this year: North Avenue at Huguenot Park, near Iona College, www.downtoearthmarkets.com, 914-923-4837. Vendors: Alex’s Tomato Farm, Dagele Brothers Produce, Meredith’s Bread, Raghoo Farms, Tierra Farm. Putnum Valley: 3-7 p.m. through Sept. 13 at Grace United Methodist Church, 337 Peekskill Hollow Road; 845-528-0066, www.putnamvalleyresidents.com. Yonkers, Ridge Hill: 11 a.m.-7 p.m. through Nov. 22. Hosted by Whole Foods Market and Ridge Hill, www.downtoearthmarkets.com, 914-923-4837. Weekly tastings, chef demonstrations, children’s activities, ingredient of the week, recipes and more. Vendors: Baked by Susan, Eden Farms Greenhouses, Go-Go Pops, Ladle of Love, Little Seed Gardens, Mead Orchards, Migliorelli Farms, Naturally Sweet Desserts, Pickle Licious. Bronxville: 8:30-1 p.m., rain or shine through Nov. 23. Stone Place at Paxton Avenue. 914-337-6040, www.bronxvillechamber.com. New vendors: Aunt Vicky’s Bickys (homemade dog treats), Bambino’s Ravioli & Fresh Pasta Company, Central Bakery Artisan Oven (specialty and stuffed breads; pizza; pasta sauce and seasonal soups), Do-Re-Me Farms (mushrooms, vegetables & melons), Laura Ferraro (fresh cut flowers), The Gourmet Butter Company, Kontoulis Family Olive Oil. Chappaqua: 8:30-1 p.m. through Nov. 23. Chappaqua Train Station. 914-478-8068, chappaquafarmersmarket.org. Email: info@chappaquafarmersmarket.org. Vendors: Arattom Dairy at Rainbow Ridge, Bombay Emerald Chutney, Bread Alone, Brookside Farm, Chatham Brewery, Clean Ridge Soap, Coach Farm, Cowberry Crossing Farm, Flourish Baking, Gaia’s Breath, Grammy’s Gardens, Honey Locust Farm, Hudson Valley Duck, Hummingbird Ranch, Joe’s Mozzarella, Kings Roaming Angus, Kontoulis Olive Oil, Madura Farms, Morgiewicz Farms, Newgate Farms, Obercreek Farm, Orchards of Concklin, Picklicious, The Pie Lady and Son, Pura Vida Fishery, Pure Food Sisters, Raghoo Farms, Ready Set Sharp, Renee’s Jams, Rich Brownies, Savor Cookies, Spice Revolution, Stone Barns, Taiim Falafel, Tierra Nut Farm, True Food of Nyack, Winding Drive Artisan Jams. Cold Spring: 8:30-1:30 p.m. through Nov. 16. Grounds of Boscobel, 1601 Route 9D, Garrison. 845-265-3611. www.csfarmmarket.org. Live music and and a new vendor: North Winds Lavender Farm. Vendors: Adair Vineyards, All You Knead Artisan Bakers, The Amazing Real Live Food Co., Bread Alone, Breezy Hill Orchard & Cider Mill, Knollcrest Farm, Chevreaux de la Grange, Continental Organics, Fresh Company at The Market, Full Moon Farm, Go-Go Pops & Go-Go Joe, Hudson River Apiaries, Krazy for Kazu’s Inc., Lanza Farms & Three Chicks Sugar Shack, Madura Farms, Magic Baking, Shawangunk Growers, Whitecliff Vineyards. Hartsdale: 8-3 p.m. Saturdays through Nov. 16. Hartsdale Train Station parking lot, 914-693-2935. WIC coupons accepted. Vendors: Scotty’s County Kitchen, Bread Alone Bakery, Regar’s Natural Soap. Hastings-on-Hudson: 8:30-1:30 p.m. through Nov. 23. Held in the library parking lot, at 7 Maple Ave., parking is suggested in Metro-North commuter lot. Live music every week, kids yoga, arts and crafts, fresh fish, vintage ice cream cart, market tacos and market pizza made to order. Vendors: Bombay Emerald Chutney Co., Bistro du Soleil, Bread Alone, Buddhapesto, Clean Ridge Soap Co., Chatham Brewery, Central Bakery, Cowberry Crossing, Dutch Desserts, Flourish Baked Goods, Gaia’s Breath Farm, Grammy’s Gardens, Guyank Hot and Sweet Pepper Sauces, Hastings Station Cafe, Honey Locust Farm House, Hudson Valley Duck Farm, Hummingbird Ranch, Kontoulis Family Olive Oil, Lasagna Preziosa, Let it Bee Honey, Lenny Bee Smoked Trout, Madura Farms, Meredith’s Bakery, Morgiewicz Produce, Mountain Products Smokehouse, Painted Goat, Pie Lady and Son, Penny Lick Ice Cream, Orchards of Concklin, PickleLicious, Pikas, Pura Vida Fisheries, Ready Set Sharp Sharpening Services, Rich Brownies, Roaming Angus, Savor Cookies, Taliaferro Farms, Tierra Farm, Grenadine French Creperie, True Food, Wright’s Apple Farm. Katonah at John Jay Homestead: 9-1 p.m. June 22 to Oct. 12. The John Jay Homestead Farm Market, 400 Jay St., www.johnjayhomestead.org. Located on the 62-acre John Jay historic site, market features more than 30 local vendors, including: Amba Farm of Bedford Hills, Cabbage Hill Farm of Mount Kisco, Mobius Fields of Waccabuc, Mt. Holly Farm of Katonah, Tiny Hearts Farm of North Salem, Ladle of Love of Mount Kisco and Red Barn Bakery of Irvington. Larchmont: 8:30-1 p.m. through Dec. 21. Municipal parking lot off Chatsworth Avenue, near the Larchmont train station. Enter on Myrtle Boulevard. ; www.downtoearthmarkets.com, 914-923-4837. Vendors: American Pride Seafood, Bombay Emerald Chutney Co., Coach Farm, Dr. Pickle, Eden Farms Greenhouses, Gaia’s Breath Farm, Kiernan Farm, Kontoulis Family Olive Oil, Lani’s Farm, Maura & Nuccia, Migliorelli Farm, Newgate Farms, Orchards of Concklin, Orwasher’s Bakery, Plates (prepared food), Stone & Thistle Farm, Sugar and Spice (prepared foods, baked goods), Third Day Naturals (personal care, eggs, dairy, honey), Tierra Farm (pantry staples), Trotta Pasta and Wave Hill Breads. New Rochelle: 9-2 p.m. through Oct. 26. Library Green (Lawton Street). Contact info@grandmarket.com or 914-960-1460, www.NewRochelleGrandMarket.com. More than 16 vendors offering a wide range of produce and fruits, specialty foods, fish, breads, baked goods, cheese, pickles, NYS wines and microbrews, along with services such as knife sharpening, and unique artisanal products like soap, flavored oils and custom-blended spices. Ossining: 8:30-1 p.m. through Dec. 21. In the parking lot on the corner of Spring and Main streets, www.downtoearthmarkets.com, 914-923-4837. Vendors: Hudson River Apiaries, Baked by Susan, Bombay Emerald Chutney Co., Bread Alone, John D. Madura Farms, Ladle of Love, Locust Grove Fruit Farm, Mead Orchards, Meredith’s Bread, Pickle Licious, Pura Vida Fisheries, R&G Produce, Taliaferro Farm, The Amazing Real Live Food Company, The Pastures, Third Day Naturals and Tierra Farm. Peekskill: 8-2 p.m. on Bank Street (between Main Street and Park Street) through November. 914-737-2780. Free parking. www.downtown peekskill.com. Variety of locally grown produce and flowers, prize winning New York State cheeses, freshly baked goods, New York State wines, homemade pastas, olive oils, pickles and many other artisanal food items and products. 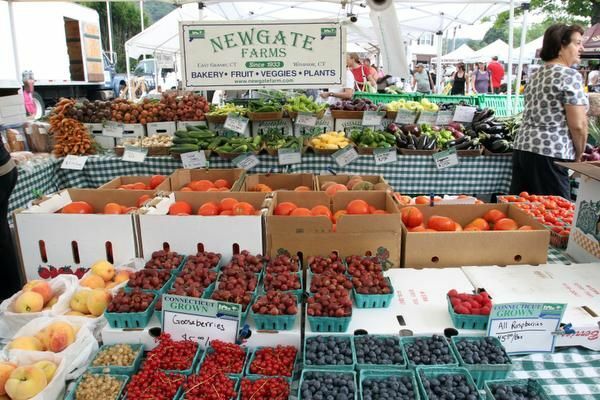 Pleasantville Farmers Market: 8:30 a.m. – 1 p.m. Saturdays through Nov. 23 at Memorial Plaza – the Metro-North parking lot in downtown Pleasantville. Seven nearby parking lots plus on-street parking, with close proximity to downtown shops and the Jacob Burns theater; see website for more information: www.pleasantvillefarmersmarket.org. Weekly live music, a Market Sprouts program for kids, culinary demos, and health and sustainability programs. Pleasantville-based Foodchester Inc., a local non-profit, runs this market of more than 50 vendors including: Aba’s Falafel, Adair Vineyards, All You Knead Artisan Bakers, Bobolink Dairy & Bakehouse (cow’s milk cheeses and rustic breads), Bombay Emerald Chutney Company, Bread Alone, Breezy Hill Orchard & Cider Mill, Buddhapesto, Captain Lawrence Brewing Company, Conant Valley Jams, Cowberry Crossing Farm, Drink More Good (teas and natural sodas), Dutch Desserts, Eden Farms Greenhouses, Feather Ridge Farm, Go-Go Pops, Guyank Brand (sauces), Hudson River Apiaries (also with full line of maple products), Hudson Valley Duck Farm, J&A Farm, Kiernan Farm (beef and pork), Krazy for Kazu’s (Japanese sauces), Lazy Crazy Acres Farmstead Creamery (gelato by scoop or pint, and milk), Little Croc Bakehouse (GF), Little Seed Gardens, Madura Farms, Maupston Design Studio (handspun local yarns), Mead Orchards, Newgate Farms, North Winds Lavender Farm, Olive Oil of the World, Orto Foods (dehydrated vegetable snacks), Pickle Licious, Pika’s Farm Table, Pura Vida Fisheries, Raghoo Farm (chicken, lamb, elk), Red Barn Bakery, Shawangunk Growers (unique perennials), Spice Revolution, Spoonful of Sugar Bakeshop (GF), Stefan’s Pure Blends (pirogi, sausage), The Amazing Real Live Food Company (probiotic cheeses and ice cream), The Butterfield Farm Company (goat cheeses and yogurt), The Peanut Principle, The River Garden (cut flowers), Tierra Farm (nuts, coffee and nut butters), Tousey Winery, Trotta Pasta, Warwick Valley Winery, Whitecliff Vineyard. Market is generously sponsored by Phelps Memorial Hospital and Green Mountain Energy. 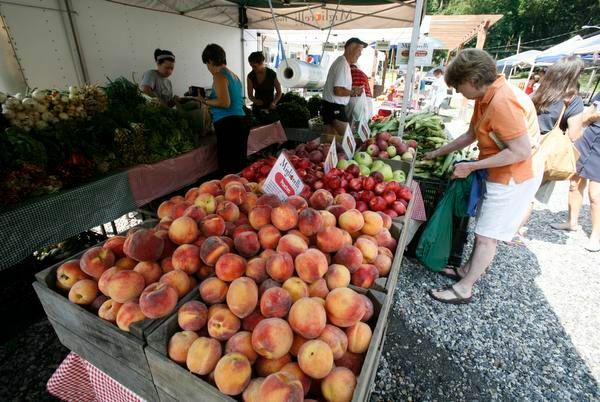 South Salem at Gossett’s Farm Market: 9 a.m.-1 p.m. year-round. 1202 Route 35, 914-763-3001, www.gossettnursery.com. Vendors: And the Beads Go On, The Bee Guy, Bongo & Capacci, Cascade Vineyards, Crowley Cheese, The Farmer’s Daughter, Gaia’s Breath Farm, Go-go Pops, Hudson Milk Company, John Fazio Farms, Johnnycake Mountain Beef, Luigi’s Infused Oils, Madura Farms, Maura & Nuccia, Newgate Farms, Precision Cutlery Sharpening, PickleLicious, Renee’s Homemade Jams, Seatuck Seafood, Wave Hill Breads.. Access to hiking trails. Stony Point: 9-2 p.m., 74 E. Main St., through October. Vendors: Fresh Meadow Farm, and others selling locally made items, like alpaca products and honey. Suffern: 8:30-1 p.m. through Oct. 26. Parking Lot A at the bottom of Lafayette Avenue and corner of Orange Avenue and Wayne Avenue; www.suffernfarmersmarket.org. Vendors: Do Re Me Farms, RH Farms, Auntie El’s baked goods and coffee, Hudson Valley Pantry, Honeybrook Farms, The Meat Pie Co., High Mountain Foods, Ol’ Darlin moisturizing soaps, Bonnie’s Baubles & Beads, The Kitchen Garden, Pugh Poultry, Pennings Farms, Moondoggie Coffee, Whitecliff Vineyards and Precision Knife Sharpening. 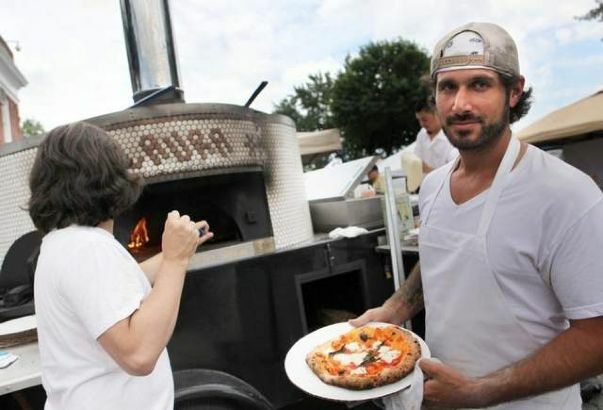 Tarrytown: 8:30-1 p.m. through Nov. 23 at Patriots Park on North Broadway (Route 9); 914-923-4837, www.downtoearthmarkets.com. Vendors: Bread Alone, Brookside Farm, Gajeski Produce, Maura & Nuccia baked goods, Mead Orchards, Meredith’s Bread, Orchards of Concklin, Picklelicious, Pura Vida Fisheries, Third Day Naturals. Croton-on-Hudson: 8:30-2 p.m through Nov. 24 in the lot on Municipal Place off Route 9. www.downtoearthmarkets. com. Vendors: Baked by Susan, Bombay Emerald Chutney Co., Dr. Pickle, John D. Madura Farms, Pika’s Farm Table, Rexcroft Farm. Haverstraw: 9-1 p.m. Sundays through Oct. 27. Maple Avenue between West Broad and New Main streets. 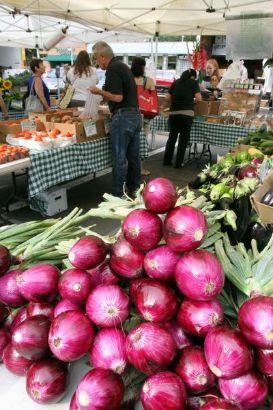 201-625-2528, www.voh-ny.com, email HaverstrawFarmersMarket@yahoo.com. New vendors: The Coffee Bakery with fresh coffee and baked goods, High Mountain Foods with crabcakes, fish steaks, ravioli, stuffed breads, lasagna and more. Children’s events throughout the season. Katonah at Muscoot Farm: 10 a.m.-3 p.m. through October, 51 Route 100, www.muscootfarm.org. Vendors: All You Knead Artisan Bakers, Bistro DuSoleil Fine Foods, Bombay Emerald Chutney Company, Bongo & Capacci Pasta, Clean Ridge Soap Company, Conte’s Fish Market, Dutch Desserts, Gluten Free Dessert Kitchen, Healthway Farms, Hudson Milk, Hummingbird Ranch, JohnBoy’s Farm, Kontoulis Family Olive Oil, Kiernan Farm, Krazy for Kazu, Madura Farms, Meredith’s Bread, Newgate Farms, North Winds Farm, PickleLicious, Platte Clove Naturals, Side Hill Farm, Wil-Hi Farm. Rye: 8:30-2 p.m., through Dec. 15. Parking lot on Theodore Fremd Avenue, parking lot behind Purchase Street stores, www.downtoearthmarkets.com. Vendors: Bombay Emerald Chutney Co., Dr. Pickle, Feather Ridge Farm, Kontoulis Family Olive Oil, Maura & Nuccia, Meredith’s Bread, Migliorelli Farm, New York Beef Co., Newgate Farms, Our Daily Bread, Pika’s Farm Table, Tierra Farm, Valley Shepherd Creamery. Piermont: 9:30-3 p.m. through Nov. 24. M&T Bank Parking Lot: 527 Piermont Ave., 914-923-4837, www.downtoearthmarkets.com. Vendors: Bombay Emerald Chutney Co., Bread Alone, Dr. Pickle, Eden Farms Greenhouses, John D. Madura Farms, Kontoulis Family Olive Oil, Meredith’s Bread, Migliorelli Farm, Naturally Sweet Desserts, Rockland Farm Alliance, Tierra Farm, Valley Shepherd Creamery. Pocantico Hills at Stone Barns: 10-4 p.m. through Nov. 23 at Stone Barns Center for Food & Agriculture Farm Market, 630 Bedford Road, 914-366-6200, www.stonebarnscenter.org. Fresh Stone Barns produce, meat and eggs. Baked goods from Red Barn Bakery and assorted dairy products from The Real Live Amazing Food Company. Pound Ridge: 11 a.m.-3 p.m. at Scotts Corners, 65 Westchester Ave., Sundays through December, 914-764-0015. Vendors: Tea Shop, Conant Valley Jams, Ginger Bitz, John Boy’s Market, Mrs. Larkin’s Scones, Samantha and Matt Lee, Lisa Lianetti, Maura & Nuccia, Rockspring Farm, Seahorse Hand Crafted, Upper Crust Pie, Villa Maria. Tuckahoe: 10-4 p.m. Sundays through Nov. 24. 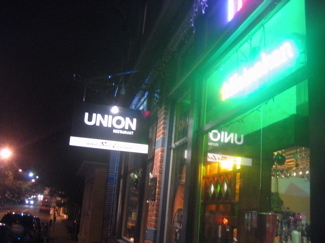 Depot Square (near Metro-North station), 914-961-3100, Ext. 4. Vendors: Westchester Nursery and Farms, Rodwall Bread, Big Girl Cookie Company, Green Mountain Energy, Laura Ferraro fresh flowers (orchids specialty). The Cortlandt Farm Market is not a farmers market, despite the name. It is simply a farm stand and garden center, as your description says, and does not belong in this list (should have been obvious also from the days/hours). It should be removed. If you’re going to include it, then you also need to include Meadows Farm in Yorktown, and numerous other farm stands around the county.